The theme at this month’s round of The Liaison Collaborative is “Area 51”, but tracking down aliens can make you a bit hungry – so grab your favorite colors of our new Retro Diner Sets and class up your dining area, bar, or breakfast nook with some classic ’50s decor! 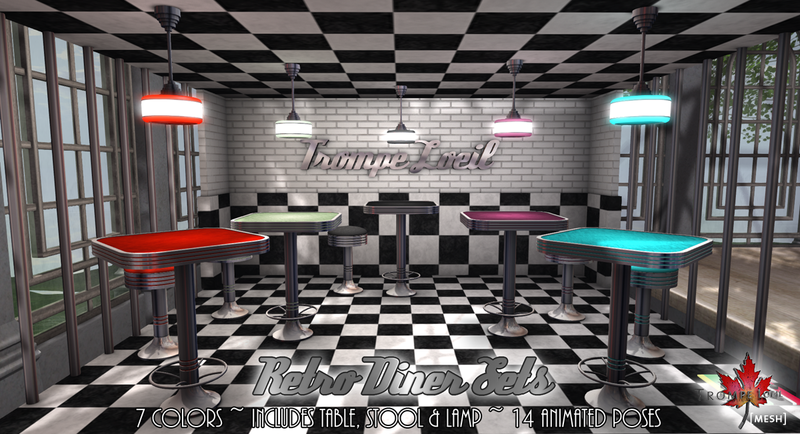 Each set includes a stool with 14 animated poses for men and women, plus matching table and lamp with on/off hardware lighting and glow. Pick from red, yellow, teal, purple, black, blue and mint green – they’re only $L250 each, and only available at The Liaison Collaborative until September 15th!